She doesn't know how and will not have the chance to live her childhood. It was taken away from her by the war and desctruction of Syria. 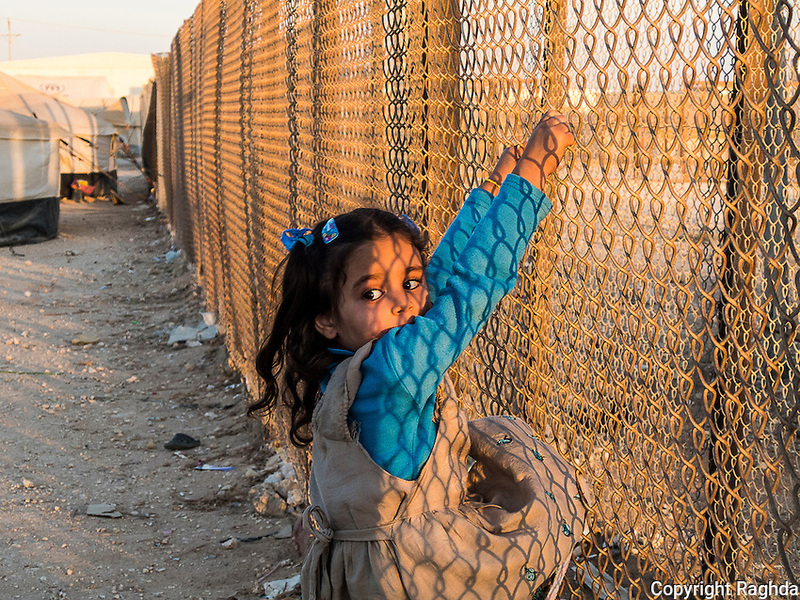 A child's vision in Za'atari Camp is different from the vision of other children in the world. The child in camp looks at the very far horizon so that he could find a way out of this situation and carry on with her life - like the other children. Play, joy, happinness, friendship, childhood.